Organic buckwheat pillows for kids! 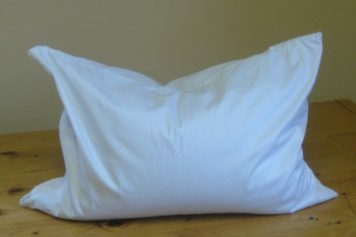 This 12″x 16″ buckwheat pillow is great for home use as well as airplanes, car rides, trains and buses. 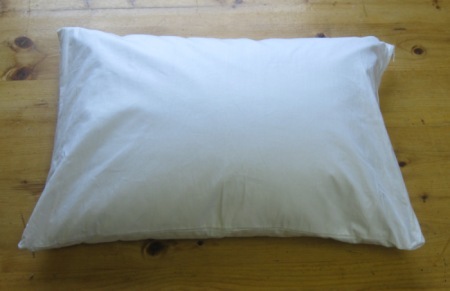 Small and compact, the amount of buckwheat hulls in this buckwheat pillow is ideal for supporting a smaller head. It also fits easily into a carry-on or travel bag. 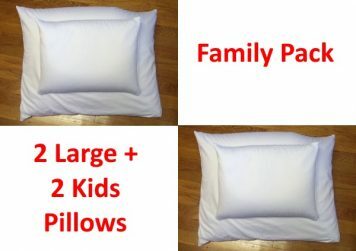 The pillow is 12″ x 16″ and weighs 2.5 pounds. Aromatherapy add-in option for a small additional charge. Aromatherapy scents of lavender and/or balsam. According to some local aromatherapists, a mixture of both the lavender and balsam can actually multiply the beneficial effects of each. They say the scents compliment each other, so you get more of a relaxed feel as well as more of the healthy benefits of the balsam. Consider adding a luxurious baby-soft fleece Premium Cute Pillow Case for Kids Pillows to your order. 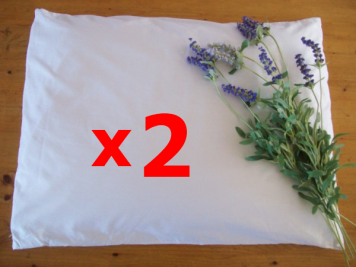 You can also use these small pillows as pillows for neck pain, which is especially nice if you’re looking for a pillow that will conform to your neck. 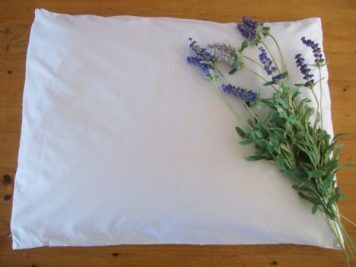 This small size organic buckwheat pillow can be used as a weighted lap pillow to help kids stay still and feel secure — this can be good for kids with ADD, ADHD, Anxiety or Restlessness.